Happy Science Friday, Friends! 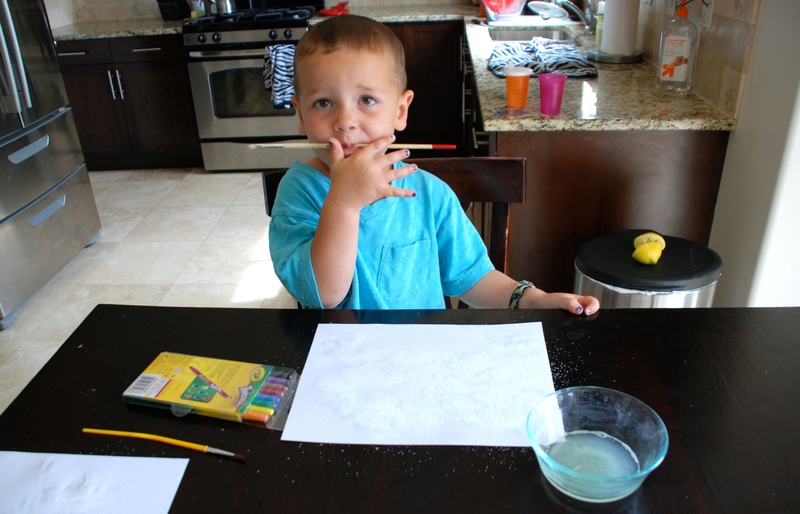 Today we’re experimenting with INVISIBLE INK! TRUTH: it was not as cool as I had hoped. I don’t know what I expected. Maybe I just believed it would be MORE dramatic than it was. TRUTH: It was so simple to put together, I’d do this again on a rainy day in a heartbeat. I hope you have a Fabulous Science Friday! To begin, there are several recipes for invisible ink, here. Pick you poison. We went with straight lemon juice. 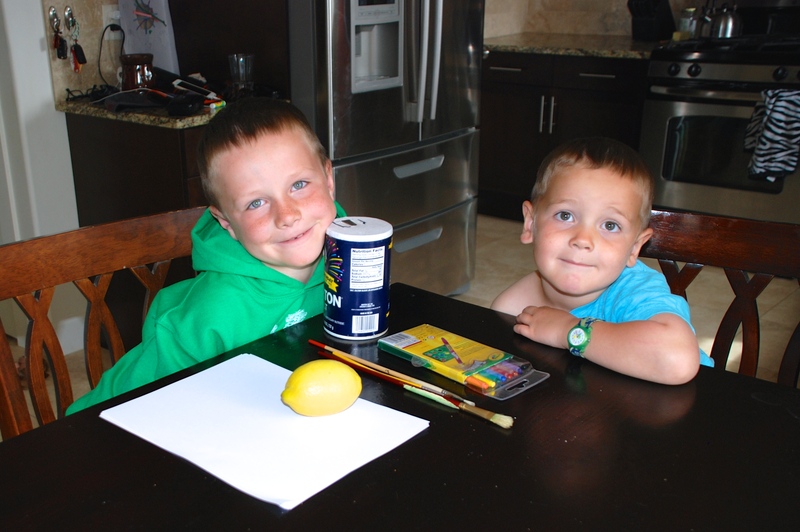 Gather a lemon, salt, paint brushes, paper, crayons. Squeeze 1/2 the lemon profusely, with great concentration, into a dish. 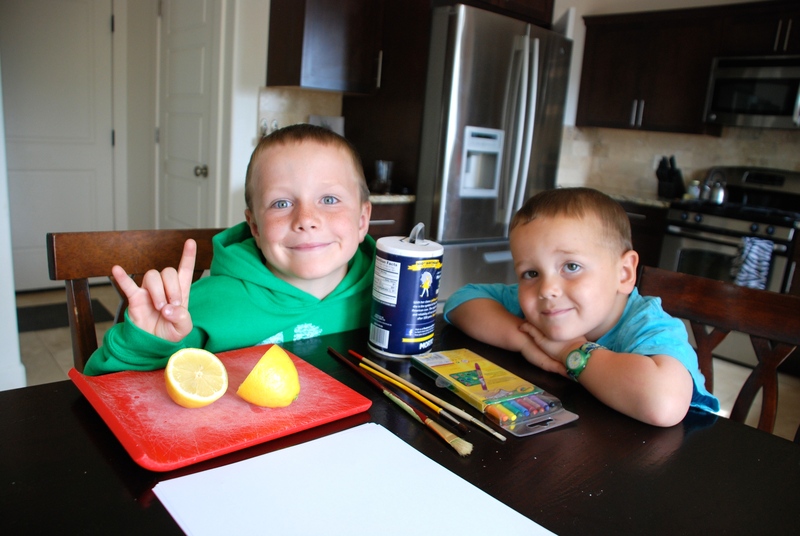 Commence in writing/drawing your SECRET MESSAGE in lemon juice on your paper. 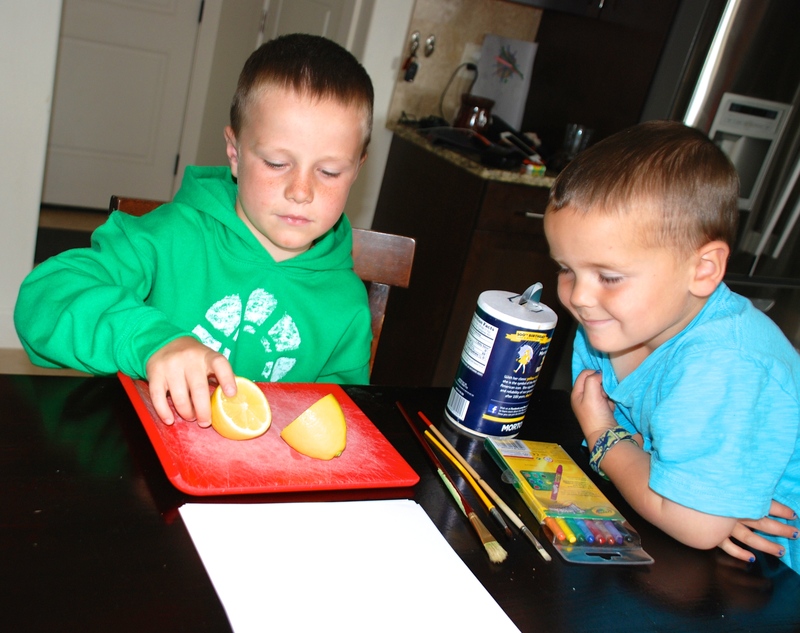 When you are finished encoding your message, cover the lemon juice lightly in salt. Dust the salt off after a few minutes, and allow the paper to dry completely. The SECRET MESSAGE should be a slightly DARKER than the rest of the color! Science Friday, WE LOVE YOU!! !